Next time you visit a Home Depot or Lowe’s, make sure to stop by the paint department and pick up some color swatches. They are FREE and work really well for crafts! 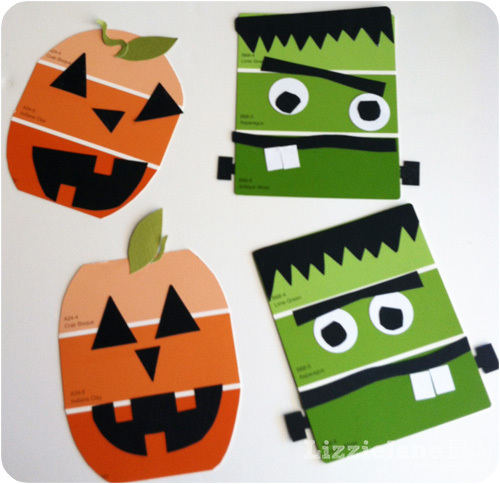 Check out these cute Halloween creations! There are four designs to choose from including a witch, candy corn, Frankenstein, and a pumpkin. For directions on how to complete these projects, visit Lizzy Jane Baby.